It was great for teams, but then we got questions from individuals who wanted to know how they could get started. So last December, we revisited remote working and focused the conversation around How to Succeed in Your First Remote Working Position, with Femgineer’s very own Community Manager, Meghan Burgain. And it seems like we have only scratched the surface, because we still get a lot of questions and concerns on the topic from startup founders and hiring managers. How do you know someone is a culture fit without a face-to-face meeting? Can you hire a remote worker for any role, or only for specific ones? How do you test a remote worker’s capabilities and competence? What is the best way to onboard and train a remote worker? So this month, we decided to revisit the theme and created three more episodes on the topic, focused on recruiting, training, retaining, and managing remote workers. 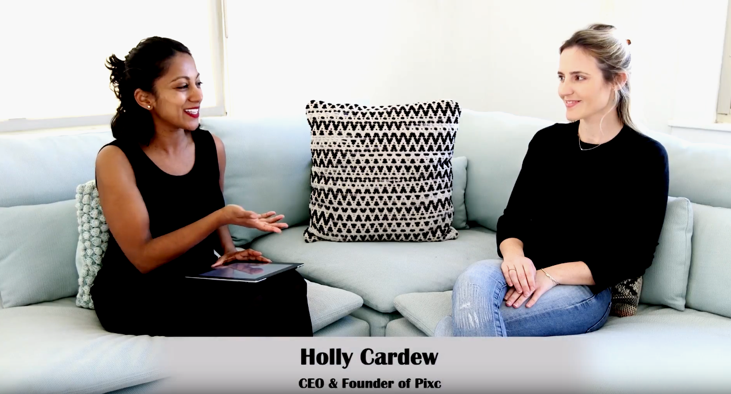 To help us out, I’ve invited a pro on the topic: Holly Cardew, CEO and Founder of Pixc. Holly has grown and scaled her team across Australia and Asia, and has done so in a number of job functions spanning both the business side, with roles such as virtual assistants and marketers, and the technical side, hiring software developers and designers to build the product. Poornima Vijayashanker: We’ve covered a number of benefits when it comes to remote working in previous episodes. If you’ve missed any of them, I’ve included links below. In today’s episode, we’re going to talk about how to actually go about recruiting for your remote team, so stay tuned. Welcome to Build, brought to you by Pivotal Tracker. I’m your host, Poornima Vijayashanker. In each episode, innovators and I debunk a number of myths and misconceptions related to building products, companies, and your career in tech. Remote working is becoming the way of the future, and employers who have started embracing it are starting to see the competitive advantages. It’s very attractive for employees. In today’s episode, we’re going to dive into the numerous benefits that employers and employees face when it comes to remote working, and we’re going to talk about some of the best practices when it comes to recruiting and retaining employees. And to help us out, I’ve invited Holly Cardew, who is the CEO and founder of Pixc. Thanks for joining us. Holly Cardew: Thanks for having me. 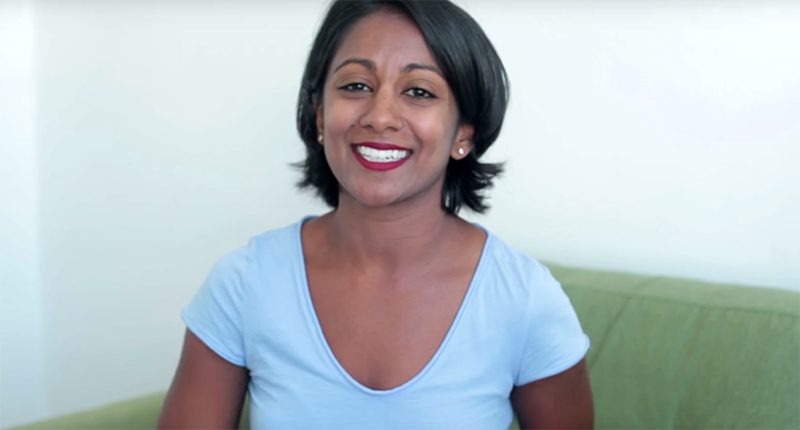 Poornima Vijayashanker: Yeah, thanks for joining us. You and I have experienced a number of benefits when it comes to running a remote team. For our audience out there, maybe you can share some of the benefits as an employer. Holly Cardew: Running a company, a remote company, has been beneficial for us, or beneficial for any employer, because what you can do is, you can scale up and scale down depending on what task you need done. You can also hire from a remote pool…Sorry, global pool of talent, rather than a local one. We can also provide customer support 24/7, and in other languages, which is amazing. It’s also great because as a company, we’re flexible. If something goes down or something happens on the weekend, the employees or the team members can also jump online. They’re not so constricted to a specific time. Poornima Vijayashanker: Yeah, and I’m sure there’s a number of benefits for the employees, so let’s jump into those. Holly Cardew: I think, for the employees, they love it because it is flexible. At the end of the day, they can live and travel and be wherever they want to. They can work the hours that they want to work. I don’t expect someone to be there 9-5. I didn’t want to build a company and be in an office 9-5. The employees don’t have to necessarily spend an hour and a half in traffic each way every day. So, they can spend that time really focusing on their task at hand. Poornima Vijayashanker: Yeah. Another thing I learned recently was that people who are disabled, or an elderly population, can stay in the workforce longer because of having the ability to work remotely. So, I think that’s another great thing, if we can keep maintaining the size of the workforce. Holly Cardew: Definitely, fantastic. I’ve also seen that with mothers. We’ve hired content writers, proofreaders. They’re mothers in middle America, or the Philippines. It doesn’t matter where they are, they’re now able to be with their children before and after school, be really flexible at home. Poornima Vijayashanker: Yeah, we’ve got one, Meghan, who’s been on an episode before. So, yeah, I think it’s great for motherhood as well. These are great benefits. Let’s talk about the types of roles that are conducive to remote work. Holly Cardew: I actually think anything can be remote. I mean, there are definitely times when you need to be on the ground with the customer, or you need to build a physical product, if you’re in hardware or other industries. But really, we have, I don’t like to use the word “outsourced,” but we have people doing legal, accounting, bookkeeping, engineering tasks, design tasks, customer service, marketing. You name it, it’s been done with us. So, I think you can actually use a remote or distributed team for any job. 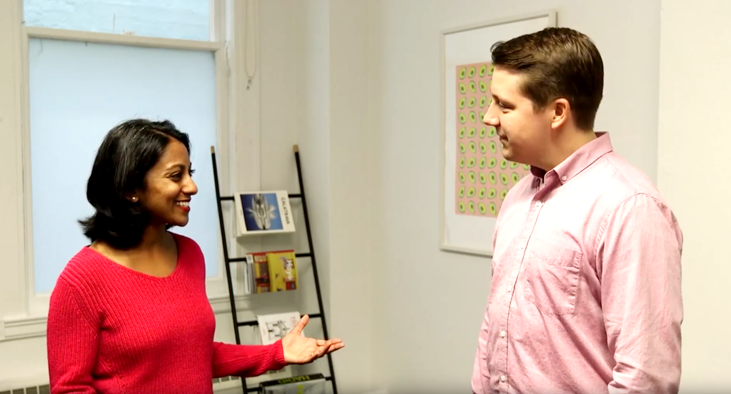 Poornima Vijayashanker: But I’m sure there’s some employees who are better suited for remote work versus others, so tell us what somebody should be looking for in an employee. Holly Cardew: Yeah, definitely. I find that the people who are most proactive and take initiative are the ones who are better off when they’re remote, because they don’t need the guidance or the team around them to keep them motivated. I also find that someone who is slightly entrepreneurial, like they may…I had someone who was in the Philippines, and I said, “What do you do in your free time?” And she said, “I import things from America and I sell them at the market on the weekend.” And doing that, it makes them think outside the box, as well. You don’t have to train them as much. Poornima Vijayashanker: That makes sense. And are there signs that you want to watch out for? Holly Cardew: The signs I would watch out for are people who do need to be around others, and they do need that guidance and training, and they’re waiting for you to tell them the next thing to do. Poornima Vijayashanker: So, people who maybe aren’t as self-directed, or possess some of the self-leadership qualities. Holly Cardew: Definitely, but there are people who are starting out, and they’re not used to taking the initiative to go find something. They’re used to turning to the person next to them at the office, or university, or wherever they’re starting out, and finding the answer. Poornima Vijayashanker: Yeah, that’s a good point. So, being proactive about being resourceful, and getting the answers that you need on your own. Holly Cardew: Especially if they’re remote, and I’m sleeping, and another team member’s not awake, so they can’t get help that way. Poornima Vijayashanker: Yeah, that’s a good point. So, do you have a set of criteria for sourcing candidates that fit? Holly Cardew: We have quite a, I wouldn’t say strict, but a process that we follow every single time. Essentially, we always hire contractors straight away. The reason for that is that we don’t have to onboard them for every single task. And then you can clearly filter out the people who have read the job description. Because when you’re remote, there’s a lot of reading, rather than face-to-face conversation. So, that filters down some people. And then we make a short list, and we interview, and just have a Skype call, about 10-15 minutes. In 10-15 minutes, you can figure out if you’re going to…if they culturally fit with the company. I think that’s really important. They may be the most amazing person on paper, but if they don’t fit with your remote culture, it won’t work. 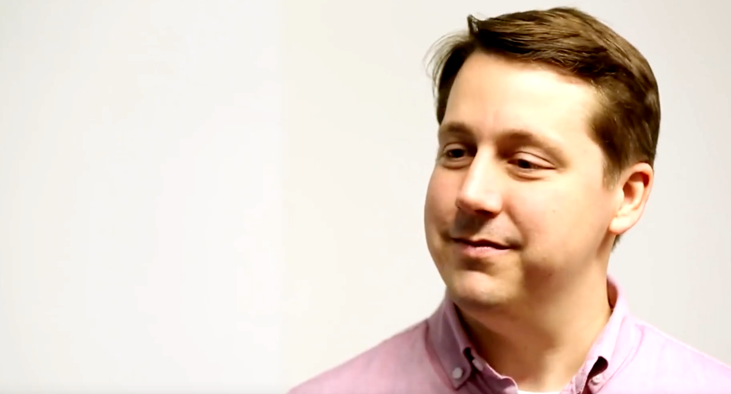 And then we give them a trial task, and then after that, if they’re successful, we hire them for approximately two weeks to a month to figure out how it works with the company, and then we scale up from there. Poornima Vijayashanker: Yeah. The trial task is one that I do, too. I call it a “task project,” and I time box it to about 5-10 hours. I limit it to maybe the two people that I feel have gone through the interview and done a good job, and I actually end up paying them for that trial time. Holly Cardew: Yeah, that’s exactly what we do. Exactly the same. We also do a trial task, about 5-10, depending on the role. If it’s a social media thing, it might be, give me 20 posts that you would post up, or some advice on what you would change on our current social media. But if it’s an engineering project, yeah, it would be 5-10 hours, maybe a page, and pay for that task, and then decide from there. Poornima Vijayashanker: Yeah. And how do you communicate that to them? Because I know some people are immediately like, “I’m not doing this,” and then some people actually take the effort, and I can tell just based on that, who’s going to be a good employee versus, OK, clearly you’re not interested. So, do you start to see signals like that? Holly Cardew: We’ve definitely had the same thing. Holly Cardew: It’s sort of like a self-filtering mechanism for us. I think most people who have already…If they’re local and they haven’t had a remote job yet, they’re probably a bit standoffish. But most people who are freelance, or have worked remote, they are used to that. Poornima Vijayashanker: And then there are some people that think remote working is for them, even though they’ve never done it before. Like you said, someone who is new to remote working, and they might not know the criteria. Do you have any filters, or ways in which you recruit them? Holly Cardew: I think, what we have looked at is that if people are entrepreneurial, they usually have done some small task by themselves. The other one is, I’ve asked if they’ve done any side projects, and I ask them to show me their side projects. Like, what do they do in their free time on the weekend? If they don’t do something that is slightly work-related…engineers may build something. Marketing people might start their own website to self-promote. So, I look for those things before hiring someone who hasn’t had a remote job. If they have started, it’s really about trial and error, and talking to them, talking through. I have friends who are definitely, they say straight up, “I need to be around people.” The other option is, you can actually provide them with co-working space. In some situations, I’ve either provided them with co-working space, or there was another situation where I had someone in Manila, and I knew the people at the Uber office in Manila, so I made a connection for her to go meet with the community manager at Manila, so she could learn from them. And then, it doesn’t necessarily mean that they have to have the people in your company around them, they just need inspiration from other people. Poornima Vijayashanker: Nice. Yeah. And that’s a good point, because it does get lonesome, and coffee shops don’t always have the best internet. The co-working could be great. Hiring sight unseen can be challenging. I know, when I initially did it, I wasn’t as good, but over the years, I’ve gotten better. How have you managed to get the best candidates out of the pool? Holly Cardew: I think, going back to my previous answer, is that really it’s about the cultural fit of the person. If your values and the culture doesn’t fit, it won’t work. I had someone who I was interviewing, and they were so good. I really wanted them. They were an early employee at a huge company that’s IPOed. They would have been…It would have been really beneficial to the company, but we didn’t see eye-to-eye on hiring, growing the team. We discussed how we would grow the team, and how we would go about it, and it did not fit. Even though it wasn’t an issue then and there, I could foresee, going forward, that it would be a huge issue when we wanted to expand the team. So, it was really about the values. The other thing is that you really need to trust your gut. At the beginning, you’re early on, you’re starry-eyed. You think everything is amazing, and you just want to get these people on board, but deep down, if you know that it’s not going to work, don’t do it. Poornima Vijayashanker: One nugget in there was having these crucial conversations, right? You said that you had the conversation about how they were going to approach hiring, and you didn’t start to see eye-to-eye. So, maybe when it comes to the tasks, or whatever the next milestone is, have those conversations, and that way, you start to uncover what their philosophy is, to see if there’s alignment and a good fit. Poornima Vijayashanker: Better to expose that early on. Holly Cardew: Yeah, exactly. Move on, rather than try and make it fit at the beginning. Poornima Vijayashanker: Well, these are great practices, Holly. Thanks for sharing them with us. Poornima Vijayashanker: So, now, Holly and I want to know, if you have put a remote team in place, what was your process for recruiting? Let us know in the comments below. And that’s it for this week’s episode of Build. Be sure to subscribe to our YouTube channel to receive the next episode, where we’ll talk about how to hold employees accountable and retain them. Ciao for now.